I sure need to go thrifting soon. You always fine super cute stuff. you look gorgeous! I love that you are wearing a skirt as a dress! And love Rowan's outfit! She's so beautiful! ahh I want another! I wish I could learn to be cute like you guys! I don't know if I could pull something like this off but it looks adorable on you guys! Rowan is very lucky to have an awesome mama like you! 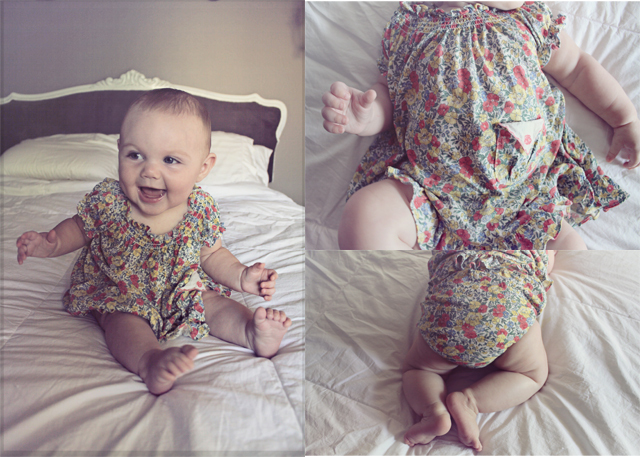 I love the floral theme on you and on the baby. Cute outfits! What a neat & inspiring way to wear a long skirt. how very clever of you wearing a skirt as a dress! What a good idea-skirt as a dress. 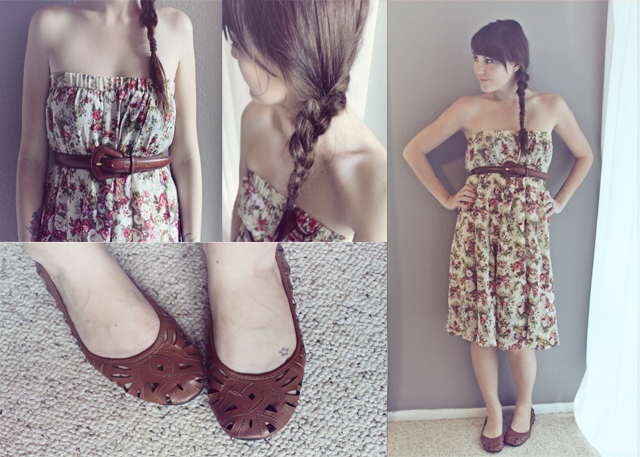 There are so many flowered skirts that would look lame on me as skirts but as a dress-I could pull that off! So cute. I'm also jealous of your long hair. I wish mine would hurry up and grow. And don't even get me started on baby. I wish there were cute boy clothes out there that didn't make my boys look like they were about to get beat up at recess.